Ivy Aberdeen's Letter to the World (Hardcover) | novel. A Stonewall Children's & Young Adult Honor Book! In the wake of a destructive tornado, one girl develops feelings for another in this stunning, tender novel about emerging identity, perfect for fans of The Thing About Jellyfish. Ashley Herring Blake lives in Nashville, Tennessee with her husband and two sons. She is the author of the young adult novel Suffer Love. 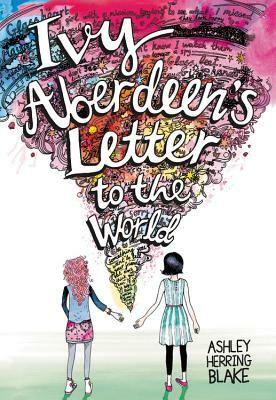 Ivy Aberdeen's Letter to the World is her debut middle grade novel.